I have located a cousin through the DNA that matches us to Mose and Matilda McRae. Before now I knew nothing of the family of their daughter Mary Octavia McRae and now I have been able to add this leg of Mose and Matilda's family to the family tree. There are still two siblings that I do not have any information on and that is Sarah and Edd McRae. 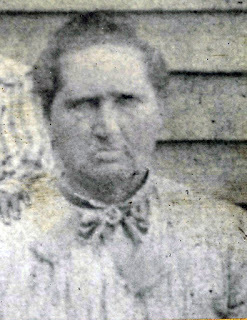 Mary Octavia was born around 1874 in Montgomery County Georgia to Mose and Matilda McRae. She married Peter Wortham in 1890 when she was 16 years old. They had six children, five born in Georgia between Wheeler County, Macon and Statesboro, Georgia, and the last born in Mississippi. They owned property in Wheeler county in 1890. 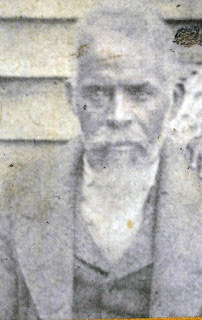 It looks as though she and her family moved to Mississippi between 1902 and 1909. Mary Octavia and her family stayed in Biloxi through the Mississippi River Flood of 1926 that caused thousands of people to flee the area. They even stayed through the the infestation of the boll weevil of the cotton crops the following year. This says something about the strength of this family.